I was crazy busy last weekend, and my adrenals are not letting me forget it! I woke up on Monday and felt like I needed a rest day for sure. Even though my adrenals can’t distinguish one form of over-exertion from another, it’s always nice when I need a rest day because I exhausted myself from enjoyment and not stress. 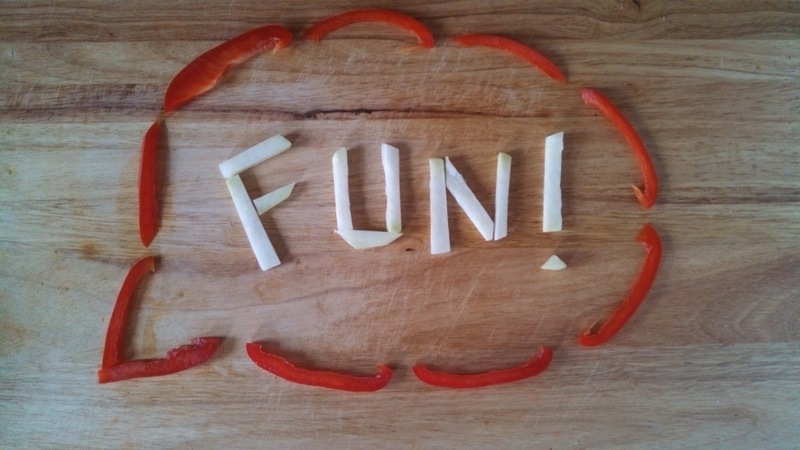 Saturday was spent in the kitchen having a blast whilst cooking, singing and dancing up a storm. Fresh produce makes me happy, and music speaks to my soul. I wouldn’t have wanted to spend the day any other way. Sunday was family day. I attended my cousin’s wedding shower and hung out with my parents afterwards. I ended up in the kitchen again (yay!) because my dad and I made an awesome new snack together. While we ate, we watched this amazing documentary on PBS called Echo: An Elephant to Remember. I am in endless awe of these magnificent beings. I would love to volunteer at an elephant sanctuary someday and get to know some of these creatures one on one. 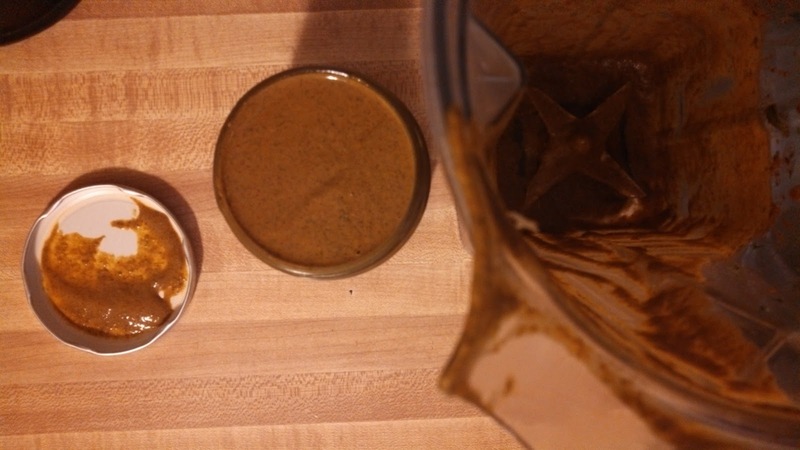 And I made chermoula which is more of a marinade than a dip, but I’ve never had it and all the spices and fresh herbs in it were too enticing to pass up! 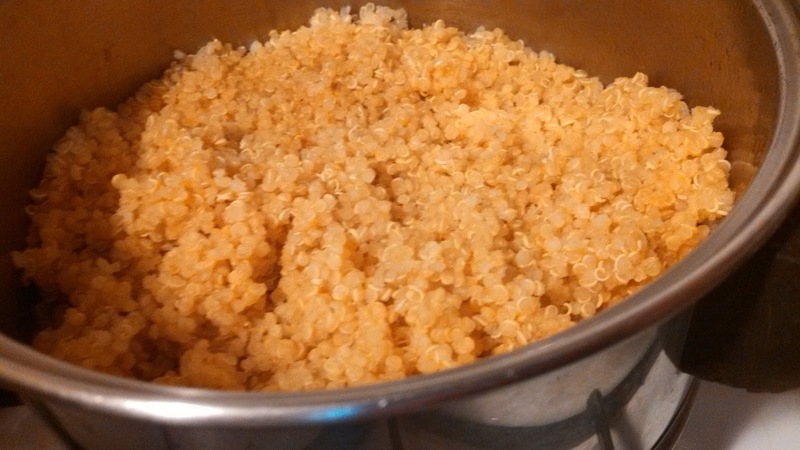 While I was busy with the sauces, I cooked a pot of quinoa and made Ricki Heller’s onion crisps. Anytime you are in the kitchen doing extensive prep, think of foods you can also make that are not as hands-on. While you are making dinner, you can easily throw on a pot of grains or beans or roast some root vegetables in the oven. Store them in the fridge for quick and easy meal additions for the coming days. The onion crisps were so sweet and crunchy. 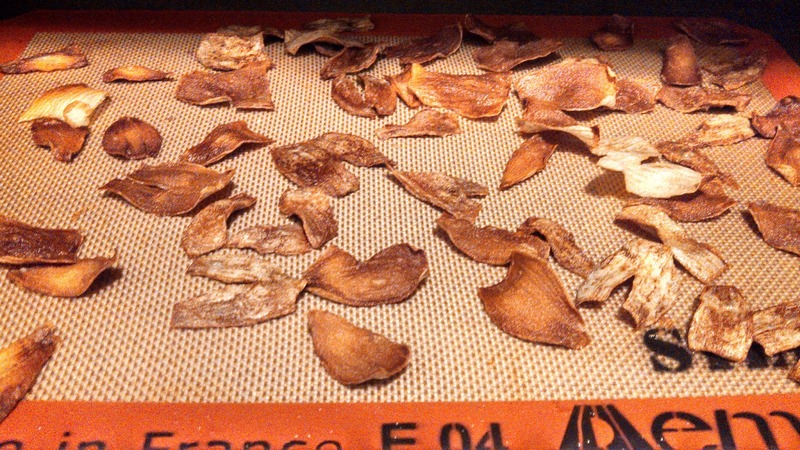 I love dehydrated onion rings, and these are a great alternative for those who don’t have a dehydrator. 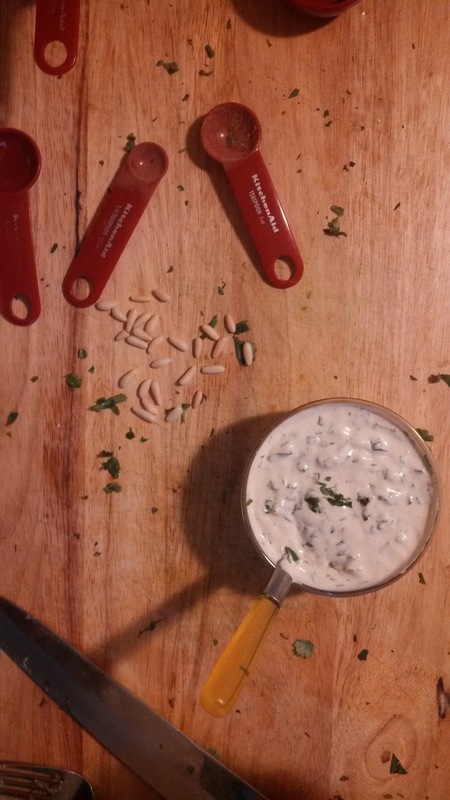 We dipped them into the lime cilantro dip for a satisfying end-of-the-day treat. 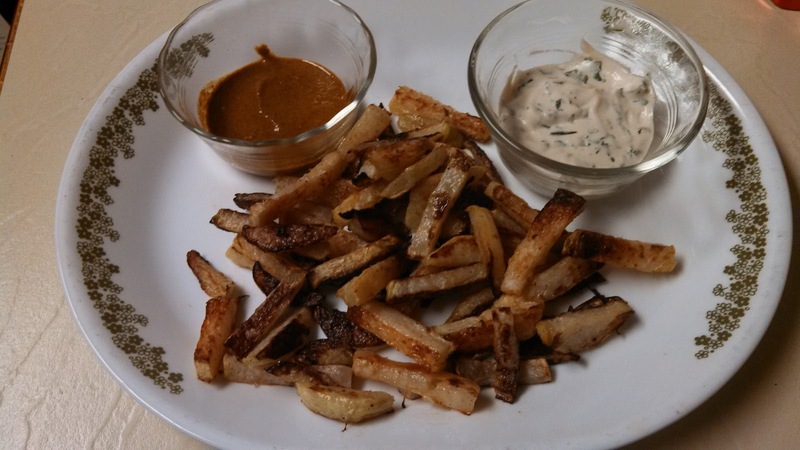 I made the chermoula and lime cilantro dip to go with another snack we made: kohlrabi fries! Before making these, I had never had kohlrabi before. 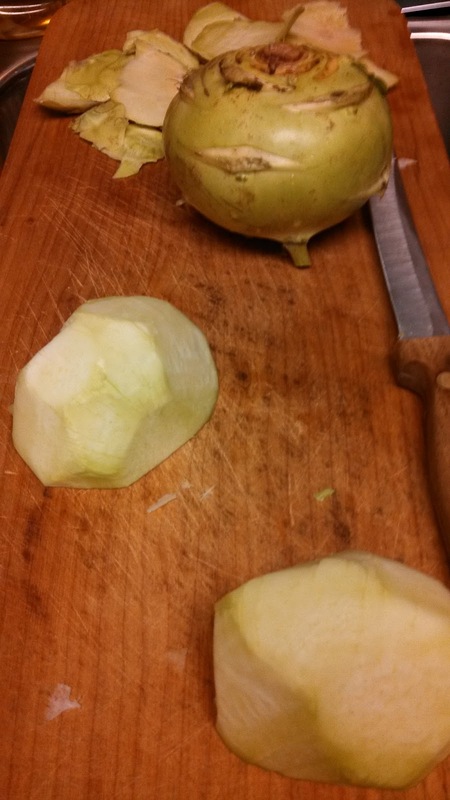 My dad told me that as a kid he used to eat kohlrabi out of my grandpap’s garden, but hadn’t had it in a long time. I could tell by the expression on his face that this recollection was still very fresh in his mind. Since he was eager for a trip down memory lane, and I never turn down a chance to try new foods, I picked up some kohlrabi at the store so we could have a fun project to do together. We cut it into sticks and ate a few raw – just the way he remembers doing it. It was mildly sweet and crunchy like an apple, but it also reminded me of broccoli stalks. I see why it’s commonly used in slaw. We roasted them in the oven until they got brown and crispy. 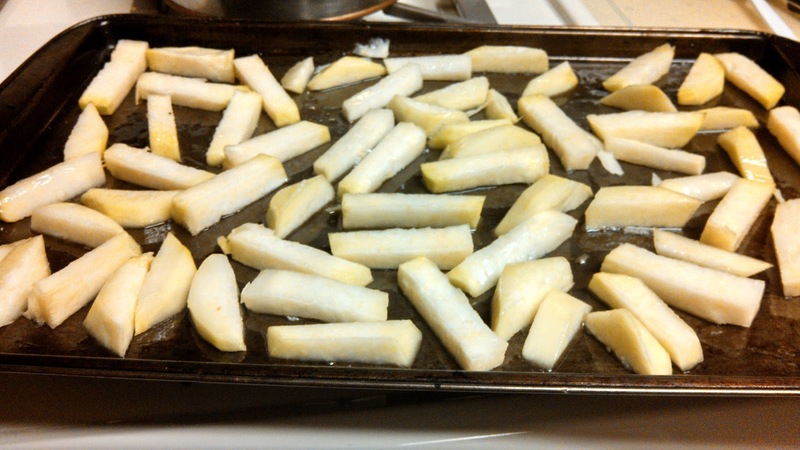 I was amazed at how much they resembled french fries in both taste and texture. The ones that were less cooked and still retaining some firmness tasted like roasted turnips, but the softest ones were starchy on the inside and crisp on the outside just like potato fries! Since I had no idea what kohlrabi tasted like, I wasn’t sure what kind of dipping sauces to make. Tomatoes and my dad don’t always get along, so I didn’t want to make ketchup or any other tomato-based sauce. The chermoula, while delicious, was not right for the fries. The lime cilantro dip, however, was perfect with them. I think they’d also be awesome with barbecue sauce or topped with chili and vegan cheese shreds. Anything that a french fry is good with, really. I’ve got other plans for the chermoula later this week, and I can’t wait to see how it turns out. 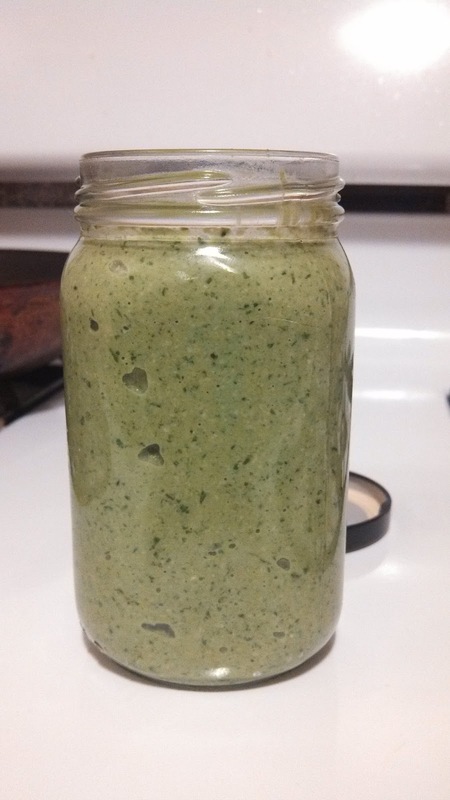 In my next post, I’ll tell you what I made the pesto for, and talk a little bit about attending events as a vegan with multiple food sensitivities. Wow, you sure are eating well! 😀 Thanks for trying the onion crisps (and so glad you liked them!). How long did yours take to bake? I am guessing that every oven is different. I have to try mine with dip next time! My oven only goes down to 260, so I baked them at that temperature. It only took about 3 1/2 hours. 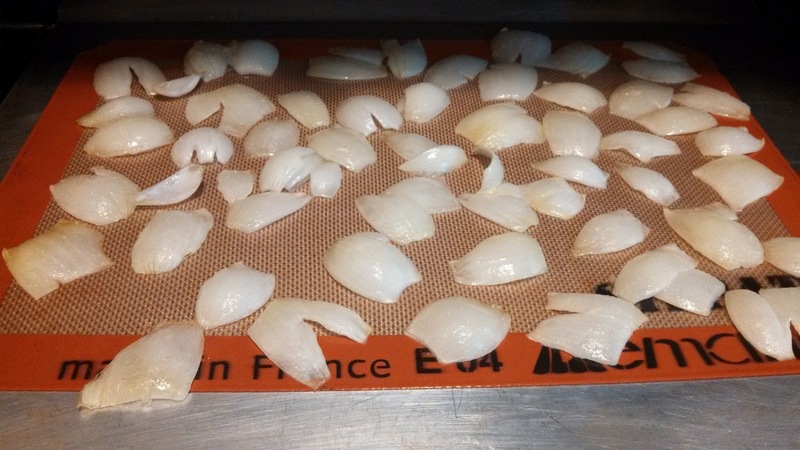 Sometimes dehydrated onions are too chewy, so this recipe has me wondering if I should try dehydrating them at a higher temperature to get more of a crunch. I'll let you know how it turns out if I decide to experiment!